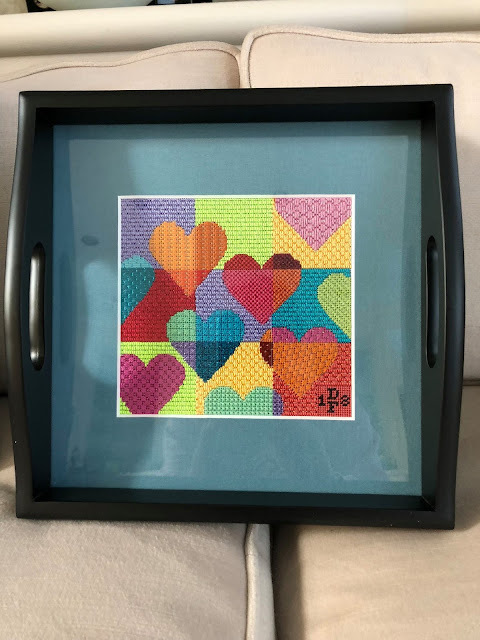 EyeCandy Needleart: Floating Hearts Finish! Donna F. stitched this gorgeous version of my Floating Hearts canvas, even adding her initials at the bottom! She had it finished inside a tray from Sudberry House. It is a winner for sure, thanks Donna for sharing your photo!